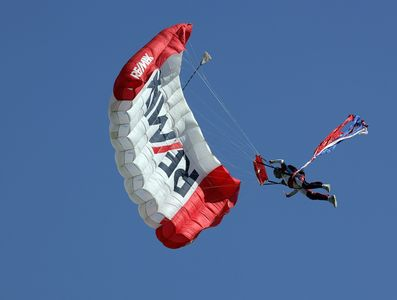 This Three-Day event will keep your eyes to the sky as the aircraft provide non-stop entertainment for spectators of all ages. 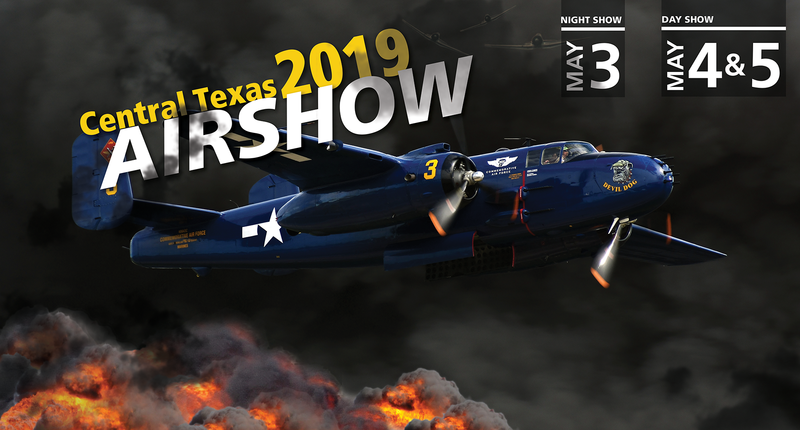 You won't want to miss the awesome Friday night show filled with smoke, pyrotechnics and everyone's favorite - an astonishing fireworks display. 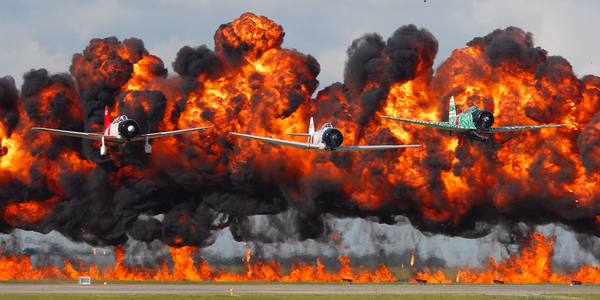 TORA TORA TORA is a re-creation of the December 7th 1941 attack on Pearl Harbor. 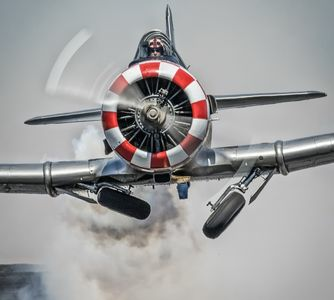 It's accomplished through hundreds of dedicated volunteers -- most belonging to the Commemorative Air Force (CAF) working as ground crew, maintenance, pilots and pyrotechnic experts. The purpose is to create a dynamic history lesson about the event that propelled us into World War II ... and entertain. 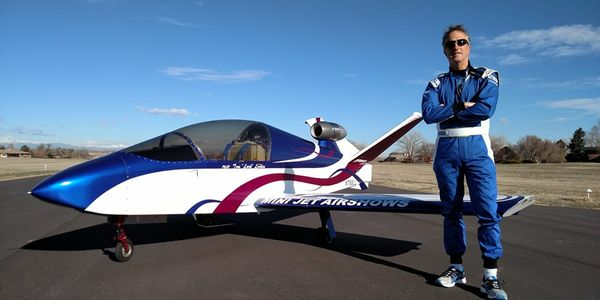 Matt has one of the most unique solo aerobatics acts flying today. He will amaze spectators with dramatic maneuvers his Twin Beech 18 was never designed for, but which Matt executes with impressive precision and control. 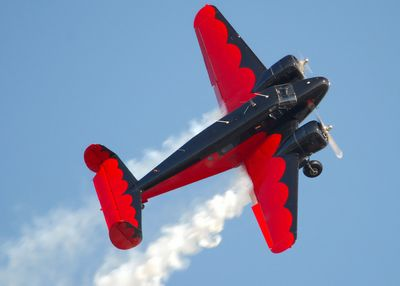 With its distinctive black and red paint scheme, the roar of its twin radical engine, and striking silhouette, the sight and sound of Matt's Twin Beech is unforgettable. On display she is silent and dark blue, a fierce Marine Corps bulldog on each side and even after 74 years she is mammoth and menacing. 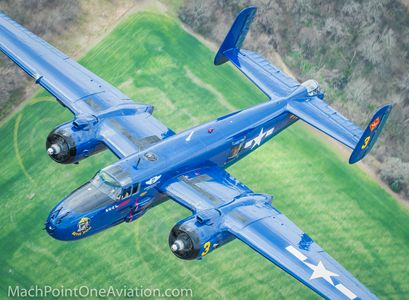 But when her two Wright Cyclone 1700HP radial engines roar to life, the Devil Dog, a WWII B-25 Bomber is deafening and ready for action. 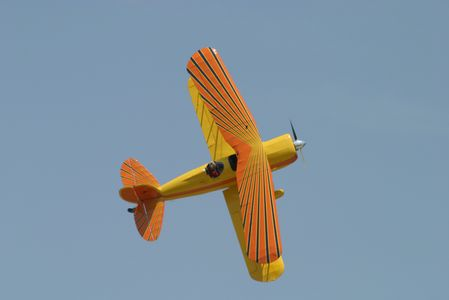 The Blastards are a unit of the Commemorative Air Force (CAF), with headquarters in Midland, Texas. 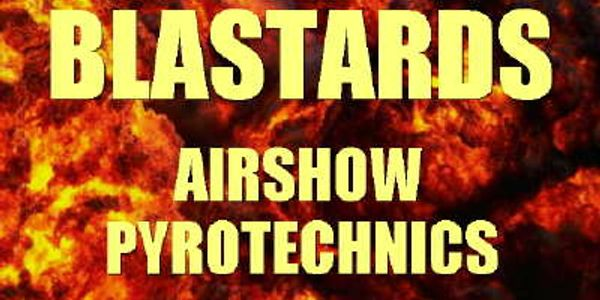 The Blastards work with airshows throughout the United States in performing pyrotechnic displays to create a more realistic airshow. You will experience first hand the noise and excitement of simulated ground explosions and special effect pyrotechnics. These well-timed and highly choreographed demonstrations are performed by dedicated team members who volunteer their time and efforts to help bring you bone rattling reenactments true to our Nation's history.